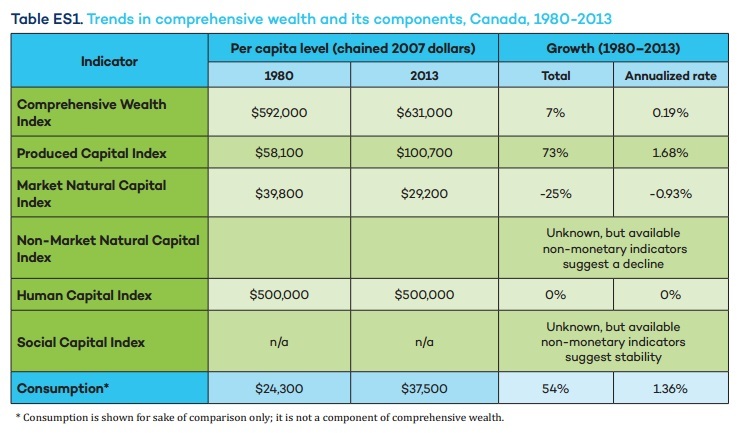 This study reviewed Canada’s comprehensive wealth performance over the 33-year period from 1980 to 2013. This timeframe extends well beyond business and political cycles, ensuring that the results reveal trends free from the ebb and flow of markets and policies. 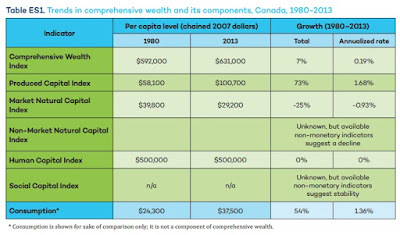 The report found that comprehensive wealth grew slowly in Canada between 1980 and 2013 (0.19 per cent annually in real per capita terms). 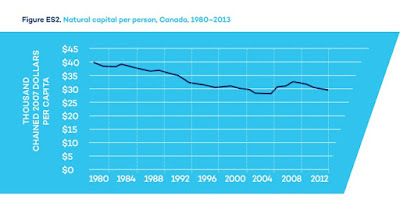 This was in contrast to relatively robust growth in real per capita consumption of goods and services (1.36 per cent annually). 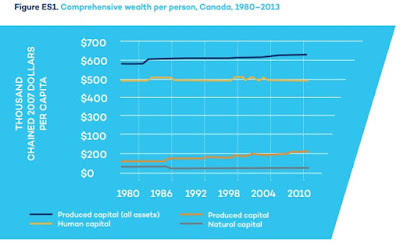 The divergence between these two trends points to potential concerns for long-term well-being. 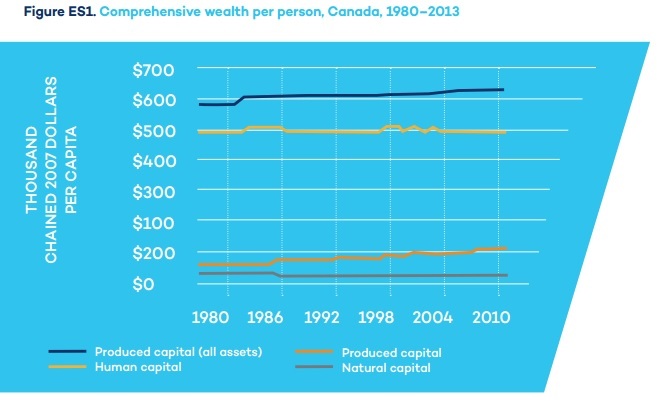 Comprehensive Wealth rose 7%, or .19% per year from $592000 in 1980 to $631,000 in 2013 as Market Natural Capital fell from $39,800 to $29,200 per person.